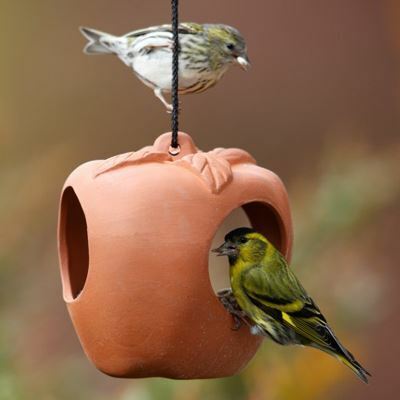 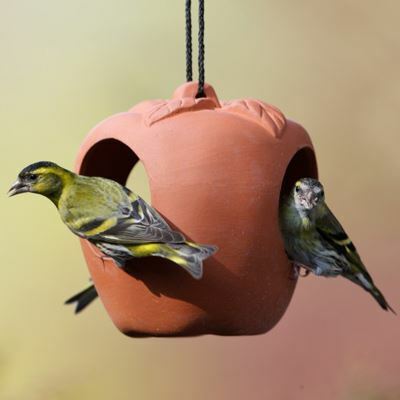 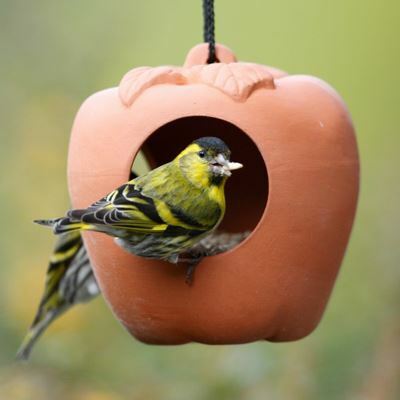 Extremely popular with birds & bird watchers this terracotta apple bird feeder has been designed for hanging in favourite spots around the garden. 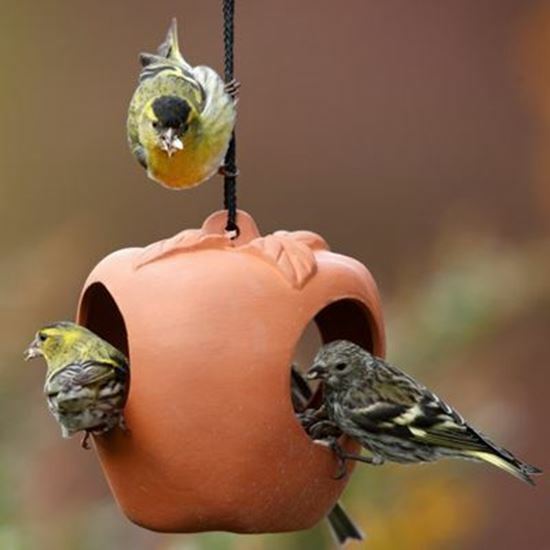 Three large feeding holes in the side of the bird feeder provide easy access for birds whilst giving good visibility for their comfort & security. 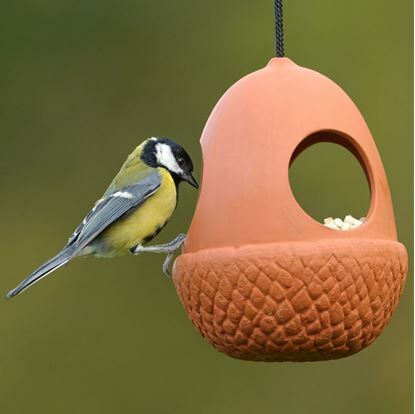 Can be filled with a variety of favourite bird foods such as bird seed, suet nibbles, suet balls & even chopped apple. 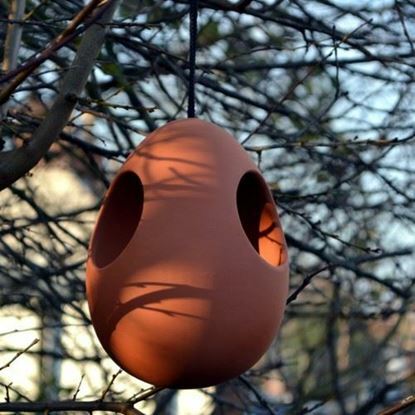 Supplied with a strong hanging cord attached. 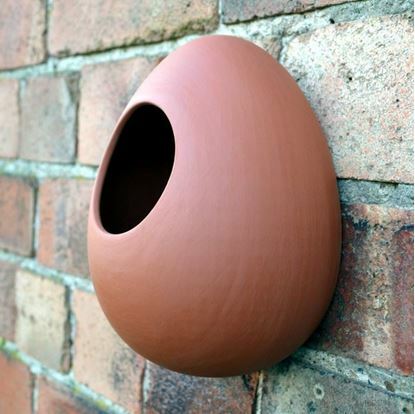 A drainage hole in the base prevents water logging. 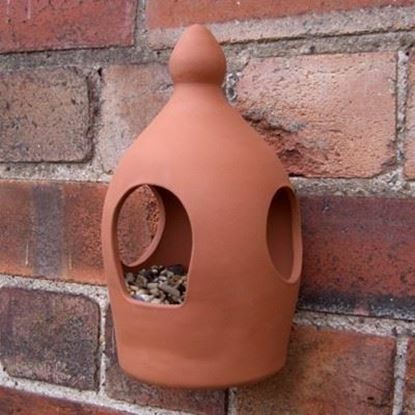 Made in the UK from fine English terracotta.